The International Surfing Association (ISA) has confirmed that Cloudbreak will receive the world’s best StandUp Paddle (SUP) surfers competing in the 2016 Fiji ISA World SUP and Paddleboard Championship November 12-20. 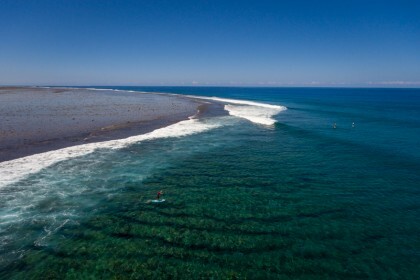 In addition to the world class waves of Cloudbreak, the pristine waters of Denarau Island and Musket Cove will host the SUP and Paddleboard racing portions of the competition. Cloudbreak, known as the world’s premiere left-hand reef break, will provide the perfect canvass for the international field of athletes to shine in its powerful, crystal clear barrels. The SUP Surfing will take place over three days of the contest period, contingent on which days provide the best surfing conditions. 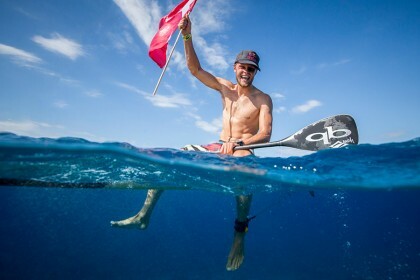 SUP and Paddleboard Racing will round out the remaining four days of the contest period, with the technical races and distances races respectively taking place at Denarau Island and Musket Cove. 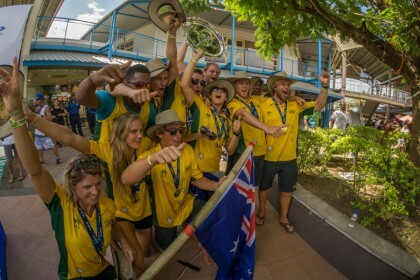 Denarau Island, located on the west coast of Fiji’s main island, will be host to the technical races and relay race, featuring a multiple lap races with a beach start and finish. The distance races will be point to point, starting in the open ocean near Cloudbreak and traversing 20 kilometers through lagoons and islands to an epic finish at Musket Cove. “Holding the 2016 ISA World SUP and Paddleboard Championship in Fiji is a huge step forward for the sport, enabling us to continue its rapid growth and development. Cloudbreak is one of the most spectacular waves in the world and we will get to witness the world’s best putting it all on the line in the name of their country. 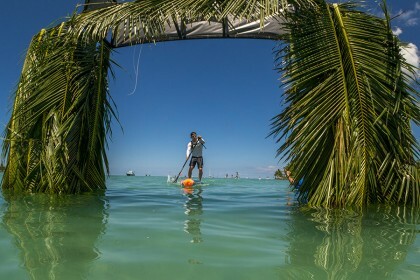 The 2016 Fiji ISA World SUP and Paddleboard Championship will mark the fifth edition of the competition, which has become the fastest growing in the ISA World Championship Series. In 2015 participation more than doubled since the event’s inception in 2012 as 27 Nations and 260 athletes graced the shores of Sayulita, Mexico in an incredible week of competition that resulted in Team USA earning their first-ever Gold Medal. As the world governing body for the sport of SUP, the ISA has been delighted by the rapid growth of the sport and especially its inclusion in prestigious international multisport events. With the ISA having successfully lobbied for the inclusion of SUP Racing in the 2019 Pan American Games in Lima, Peru, the sights are now set on inclusion in the 2024 Olympic Games.